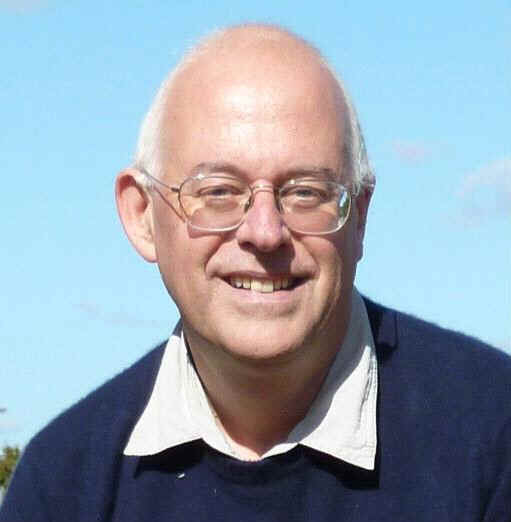 Chris Tringham (MidCon chairman from 1981 – 1996) writes: It is with great sadness that I find myself having to write an obituary for my good friend John Dodds, who passed away a few weeks ago, very shortly after being diagnosed with idiopathic pulmonary fibrosis. I had known John for more than 35 years, initially through the MidCon committee, and we had remained in contact even though I have been living in Hong Kong for 20 years (we last met up two years ago when I visited London). I hope I can do justice to John’s significant involvement in the games hobby over many years. John Dodds was a key member of the MidCon committee from 1981 – 1996 (the 1981 event was the first one at the Royal Angus hotel, but we called it MidCon III because there were two earlier MidCons in Digbeth in the late 70s organized by Dave Allen). For the first few years, John’s official responsibility was publicity, and from 1982 onwards he ran the (highly successful) quiz on Friday and Saturday nights. In 1988, John took over as tournament director for the National Diplomacy Championships. Then in 1993, he came up with a proposal to run qualifying events all over the UK. This was hugely successful, and the official record shows an increase from 37 to 117 players. Needless to say, this required a huge amount of effort by John – coordinating and publicising the events and turning up at most of them himself. John repeated this heroic effort in 1994, but then had to stand down due to his increasing workload (at that time John was working at HM Treasury as Head of the Budget Coordination Team). Stephen Agar took over, and I believe the qualifying events continued for a few years, and they certainly increased attendance at MidCon. John was editor of Perspiring Dreams (44 issues from June 1980 - June 1984). This was a first-rate traditional Diplomacy zine, and it appeared very regularly and then folded efficiently (which is far more than most of us managed). This is all the more amazing when you consider that John was studying at Christ's College Cambridge for the first two years of the zine’s existence. John did many good things to promote the board games hobby. He co-edited 37 issues of Hobby News (from 1992 – 1995), wrote the Novice Package, ran the Zine Bank, and also produced the Hobby Services Bulletin. John was a regular at cons both large and small, and was always an affable and patient games player, whether winning or losing. On top of that, he was always good company and invariably had something interesting to say on a wide range of subjects. I will always remember a group of us meeting up to watch the 1992 election results. We all expected a Labour victory, so when we heard the results of the exit poll shortly after 10 pm most of us thought there must have been a mistake. John then quietly informed us he had placed a (fairly substantial) late bet on the Tories to win, which of course they did. There was a memorial service at Stationers’ Hall in London on 20 October, where we heard a lot more about John’s early life, his time studying at Cambridge, his interest in board games (from Dane Maslen), his love of reading, watching Darlington FC and Durham CCC all over the country, and his long career in the civil service - including 15 years with HM Treasury. It was certainly a life lived to the full. Please raise a glass to John during the weekend of MidCon, and for anyone who wants to make a donation in his memory to Action for Pulmonary Fibrosis (the charity nominated by John’s wife Clare) there'll be a bucket on the registration desk or you can go online to https://mydonate.bt.com/fundraisers/johncdodds.